At Maximum Adventure we are aware you have a range of options and companies to choose from in terms of organising your adventure. That is why we continually strive to give you the best service possible. Not only in terms of being friendly and informative on the phone when you call us, but also in the content of the actual event itself. Our course contains 6 guided days. With a travel day out and a travel day back it means you are away for 8 days. We do not think it is a good idea to offer a shorter one, even though that will save you and us some money. We feel you need 6 days to practice your skills and most importantly acclimatise in order to maximise your summit chances. It also means you may have more summit chances in the case of bad weather. Furthermore we will pick you up and drop you off at Geneva airport. This takes the hassle out of you getting to the course start. We can offer hire of your technical equipment for a small supplement of £75. Of course, the group kit (ropes etc) is included. Buying technical kit (crampons, ice axe, helmets and harness) which are the items you are least likely to have, could add another £150-£200 approximately to your bill. For full details of what's in and what's out have a look at the course inclusions. You're not the only one! And why not? Why set yourself limits? Every year, people ask us this question. 'Back in the day' people would complete an 'alpine apprenticeship' which would consist of many alpine summers spent practising their skills and climber lower, but not lesser, peaks before tackling the big one. People have less time (seemingly, although there are still 24hrs in a day), the boundaries of adventure travel have moved on and with the ready availability of the internet for you to research this information, you can, very quickly, decide to take part in an adventure. Whilst some may think this is a bad thing - we don't. We are, after all, in the business of helping you achieve your goals. So if you decide to have a crack at this you need to know what you are letting yourself in for. Mont Blanc will maybe be the hardest week you experience in your life. It is high, it is cold and it is exposed. It is also dangerous. Some people say risk is part of the adventure. We don't think so. Risk is something you accept to enable you to achieve what you want to do. We, or anyone, can't eliminate that risk. But we can do our best to reduce it. So, assuming you decide it is for you, you need to get in shape. Get down the gym. Go running. Go cyling or take part in some of our preparation courses. It is physically tiring and you need to be as best prepared as possible. Do plenty of cardio so you have good stamina and strengthen your legs through cycling and hill days. We will send you a fitness training plan, but also have a look at our preparation courses. They are invaluable in giving you the best chance. Once you have done all this, we will do our best to get you to the top. But it won't be easy! Day 1: Meet the guide(s). Equipment check. Ascend to Albert 1er hut. Afternoon on glacier practicing skills. Night at hut. 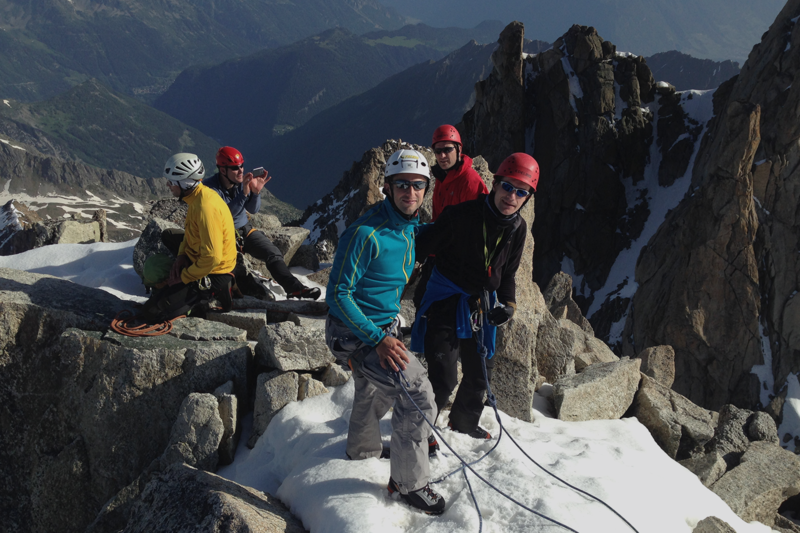 Day 2: Aiguille du Tour and evening descent into Chamonix. Overnight in valley. An alternative is to overnight at the Trient hut and then return to the valley the next day the decision on this is up to the guide. 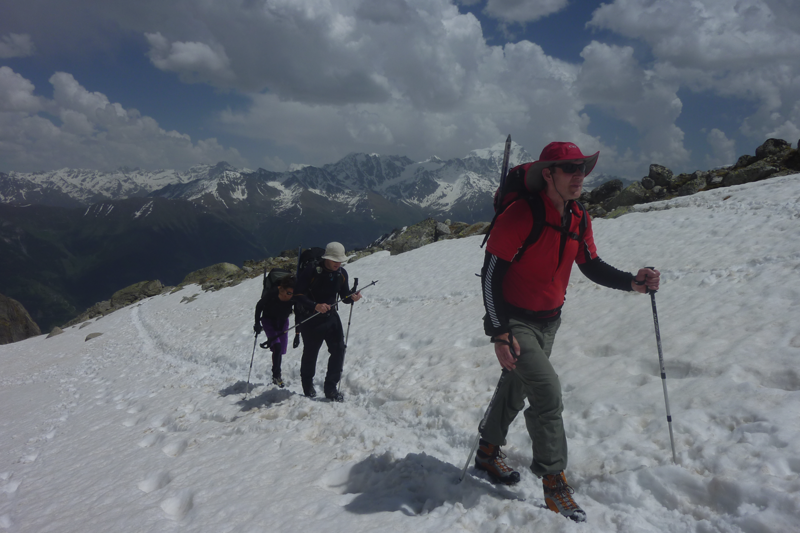 Day 4: Ascend to Tete Rousse Hut, Gouter Hut or Cosmique Hut or additional high altitude day. Day 5: Summit attempt and descent back down to Tete Rousse or Gouter Hut, or ascent to Gouter Hut. Overnight at hut. Day 6: Either summit day of Mont Blanc and descent into valley or just descend into valley if having summit the day before. Departure Day: Breakfast and return transfer to Geneva Airport. Please note: This itinerary is a guide only. It can be subject to change dependent upon viability, course members' fitness, weather conditions or for any other reason. The day of the summit attempt will be decided by conditions, weather and hut availability. Pay a £299 deposit and confirm with your charity their minimum fundraising requirements for the balance. This will typically be double the cost of the adventure, less the registration fee. You can join any of our Mont Blanc Ascents just select the date of your choice opposite and enter the name of your chosen charity in the group/charity section. For more details of how fundraising works please read our step by step guide here or contact us for help. Group gear - ropes etc. 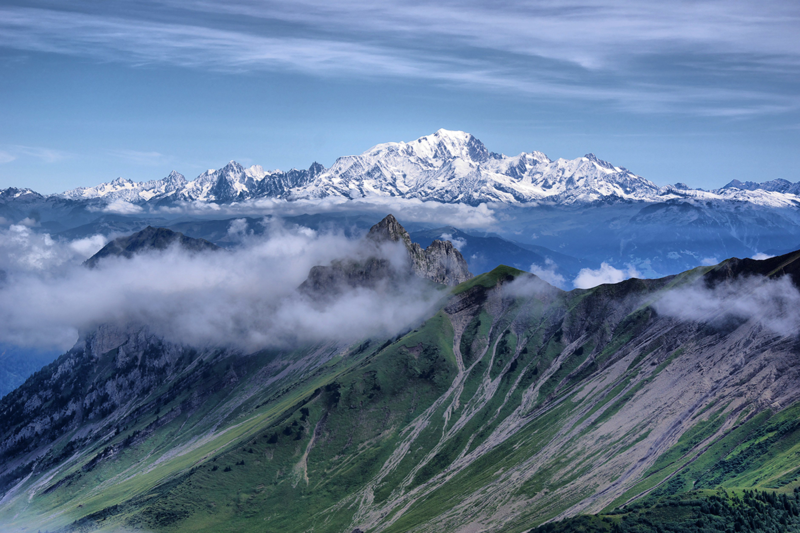 We run the Mont Blanc Ascent as an open or bespoke event. Our open events run every Sunday and Wednesday from June to mid September. For bookings of 8 people or more, we also run this as an exclusive event on the dates of your choosing. To book any number of participants on to an event, simply select the date in the calendar and follow the booking procedure. You will then receive an automated confirmation and full details will follow from our office in due course. A Mont Blanc ascent is a physically challenging week. We encourage all Mont Blanc participants to complete the appropriate preparation to ensure best performance on the hill. Ideal courses to take part in before taking part in a Mont Blanc course are a winter course (Dec - March) and a scrambling course around May/June time. This gives you the best combination of practice regarding physical fitness, crampon techniques and scrambling skills. To this end, we offer a discount of £50 off a Winter Ben Nevis course and a discount of £50 off a Snowdonia scrambling course for all those who have already booked on a Mont Blanc course. Please ask the office for details.